Inflammation is the bane of many of our existence, causing pain and discomfort, but also increasing the risks of developing serious diseases. One can lessen the odds of this, and provide greater longevity and quality of life, by addressing inflammation through diet, and select herbs. Choosing foods wisely is the first step to not only easing inflammation, but improving overall health in general. Good dietary choices can lessen the impact of other lifestyle choices, such as inadequate exercise, although exercise is certainly very important, by providing the cells with a framework in which they can maintain communication, defend against invaders, and stay pliant enough to support the organs and receive fluids and nourishment. Antioxidant rich foods support the above functions, and can be consumed with an abundance of brightly colored or dark pigmented fruits and vegetables such as berries, dark leafy greens, winter squash, red and yellow peppers, green tea and dark chocolate, to name a few. While bright and concentrated pigments are most often associated with high anti-oxidant levels, it is important to remember that foods lacking chlorophyll such as button mushrooms and cauliflower have been proven to have high levels as well. 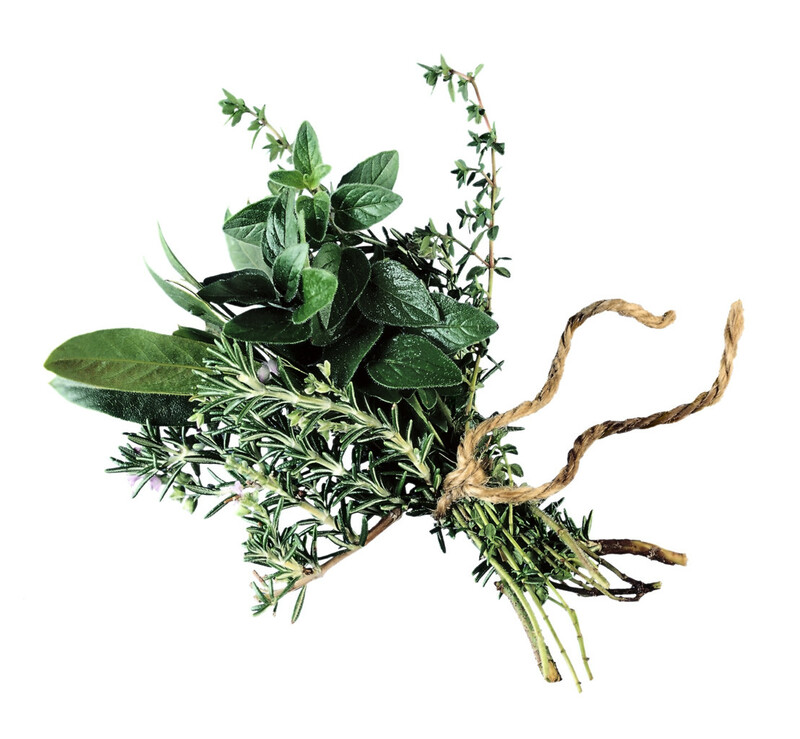 Culinary herbs such as oregano, basil, mint, and thyme have concentrated antioxidant levels, so while only a small amount may be used in foods, their benefits are cumulative with liberal use. The lesson here: spice your foods well, and drink tea with your meals. This not only eases inflammation, but promotes good digestion too. When you think of herbs current and historical use in preserving foods it makes logical sense that they would be natural antioxidants. What preserves food preserves the body as well. It’s important to become familiar with healthy fats in order to avoid inflammatory conditions. Vegetable oils such as soybean, cottonseed, corn, and safflower oils are considered Omega 6 oils. While not unhealthy in themselves, without the proper ratio of Omega 3 oils to balance, their excess consumption can lead to inflammation. Omega 3 oils sources include fish oils from fatty fish such as salmon, sardines, cod, and tuna; walnuts, flax, and hemp seed. These oils also play a key role in cardiovascular health, which inflammation can wreck havoc on, brain function, and healthy skin. Several medicinal herbs can play key roles in easing pain and inflammation. Turmeric is an Aryuvedic herb used for centuries to ease osteo-arthritis and liver conditions. Turmeric has a long traditional use by yoga and martial arts practitioners to promote flexibility and healing between vigorous martial arts sessions. Clinical trials using curcumin, an isolated concentrate of turmeric, have demonstrated comparable anti-inflammatory effects to hydrocortisone, and shown strong antioxidant activity. Ashwagandha root, another Aryuvedic herb, has been used for arthritis as well as fibromyalgia and chronic fatigue syndrome, and insomnia. It is anti-inflammatory, but also tonifying, which means it will strengthen the organs and ultimately improve the energy level. Tonics are gentle and restorative, and their effects may not be immediate, however they are an important group of herbs to consider in any chronic condition. Examples of herbal analgesics include white willow bark and topical use of capsaicin from cayenne. White willow bark we have to thank for the ultimate development of aspirin from salicylic acid. While a bio-equivalent dose of salicylic acid equates to a low dose of aspirin, white willow extracts have still fared reasonably well in clinical arthritis trials, which offers an alternative to those unable to take aspirin. Capsaicin relieves pain and inflammation as a topical analgesic. It works because its rubefacient, or irritating properties, stimulates blood flow to the site of application and relieves pain. Capsaicin is most appropriate for chronic, “stuck” pain which is worse in the cold. Ginger is an important herb to note here, because it improves circulation and relieves inflammatory conditions, but also has a calming effect on the digestive system. This is important because the GI tracts proper functioning is crucial for preventing inflammatory conditions in the first place. High doses of ginger root, beyond the normal therapeutic dose of 2-4 grams a day have been associated with reduced clotting factors in patients on anticoagulant or antiplatelet drugs; however this is only with extreme doses as experienced in trials. This list is by no means all the possible anti-inflammatory herbs or foods, however it demonstrates the options available for easing a host of conditions, as well as preventative measures.